In the heart of the famous village of Chassepierre, a pretty apartment with a beautiful terrace and a garden you can use. You can take advantage of its comfort and the view of Chassepierre Hill. Two bedrooms and a bathroom, and an equipped kitchen surround the lounge-dining room. 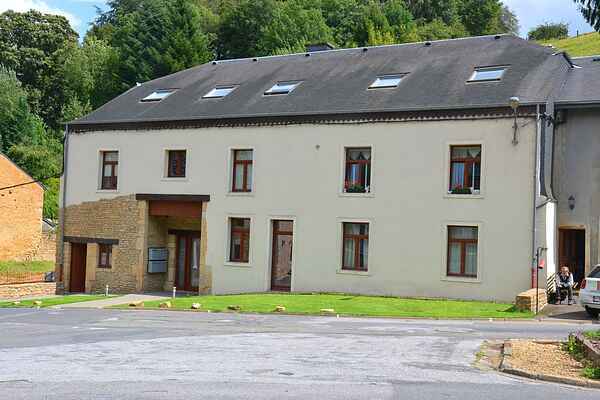 This is an excellent starting point for exploring the region: Bouillon and its chateau, Orval abbey and its beer, Florenville or Sainte Cécile...Many walks are also possible from the cottage. The owner asks the renter to sort out his garbages. Should thuis not be done, the owner will deduct €100,- from renter's déposit for non respect.